services consists of Manufacturer and Suppliers of STP / ETP / RO / DM / RC/ ZLD / Package Plants. We also undertake Operations and Maintenance of the said environmental utilities. We are providing these services with the helpof professionals as per the client’s requirements and needs. technology, we are able to offer these customised and cost effective services within the requested period of time. industrial experience and knowledge has enabled us to serve our clients in the best manner. SIMA believes that the harmony between the human being and environment is the prime essence of healthy life and living. 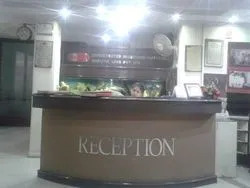 We strive to provide aesthetic services in all aspects of our business right from tendering, designing, planning, execution, testing & delivering of quality services & products to the customer and the best after sales services.we reinforce our commitment to the value of integrity, understanding, excellence and responsibility. Our team is dedicated to achieve the highest level of quality in all aspects of our functions. We create an environment of innovation and learning for each one of us. We have a desire to excel and willingness to experiment. We aim to be the most competitive and most productive organization. Our core competence in the field of analysis, consulting engineers and executors of pollution abatement jobs are being continuously improved to be best in class. TO GAIN RECOGNITION IN THE FIELD OF LEADERSHIP CUSTOMER SATISFACTION INNOVATIONS. TO BE ADMIRED AS A RESPONSIBLE ORGANIZATION & A SUSTAINED VALUE CREATOR. TO BE AMONGST THE TOP 10 NAMES GLOBALLY IN THE FIELD OF ANALYSIS. CONSULTING ENGINEERS & EXECUTORS OF POLLUTION ABATEMENT PROJECTS. We have a team of well-qualified professionals to render the offered range of services. We believe that our team of knowledgeable professionals is one of the main factors to achieve our organizational objectives and customer satisfaction. These services are brought forth to our esteemed clients at the reasonable prices. SIMA has become one of the leading players in the field of Environment Management & Control. Two decades of experience & application of latest technologies are reflected in the products design & are developed for the most severe Indian water & waste water scenario. The specialization areas of SIMA include engineering, procurement & commissioning of industrial waste water treatment plants, sewage treatment plants, common effluent treatment plants & reuse including service in the area. SIMA has grown significantly over the past decade & expanded its scope to diverse area of the industry including engineering, procurement & construction. 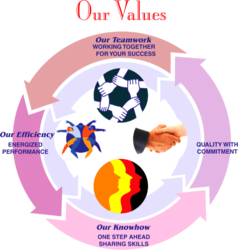 The company is a cost effective “One Stop Shop” for giving services in the field of Project Execution. It undertakes product development, process development & scale up with in house integrated engineering capabilities, complying with quality & environmental regulations. SIMA is the industry leader for providing consultation & execution for waste water treatment plants, waste disposal sites. 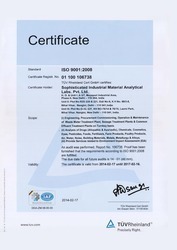 SIMA is an ISO 9001 company, has set standards in meeting the special needs & demands of every project. The company has extensive experience in the delivery of state of the art projects. It is structured to deliver these projects in an atmosphere of trust & rigorous scrutiny. Owing to our patron-centric approach, we have developed a strong relationship with our customers. We work hard to offer clients a supreme quality water filtration plant within the limited time frame. Furthermore, we take the feedback of our customers and conceptualize these to meet their demands. Our quality controller team inspects each and every process of rendering to ensure the flawless service. We also provide them in-process information to our clients in order to make them familiar with the precise service process. We assure to our customers that our offered arrays of water filtration plant will be highly effective and as per the client’s needs and demands. We comprise a state-of-the-art infrastructure unit and it is well equipped with all innovative and latest technologies. 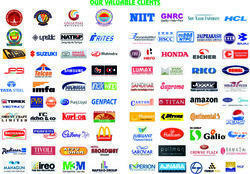 We have a huge number of clients and from every served client we got positive feedback for our services. So as we are the best place to avail the optimum quality services in the market. Providing technically sound staff to run the plants installed by various corporate. Providing testing facility from our state of the art Laboratory. Providing technical assistance after expiry of warranty period on mutually agreed upon terms. 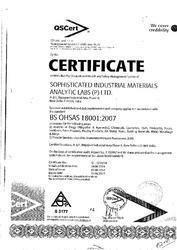 Providing quality chemicals & other consumables at competitive prices. Providing spare parts for critical equipments. 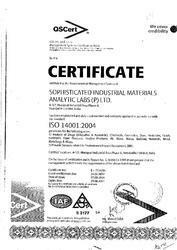 Providing formats for maintaining records for statutory corporate environmental compliance. Helping technically in obtaining the necessary approval from the PCB authorities. Indospace FWS Industrial Parks Pvt. Ltd.